This is a “New” Cyanotype, from Mike Ware’s modernized Cyanotype formulation. 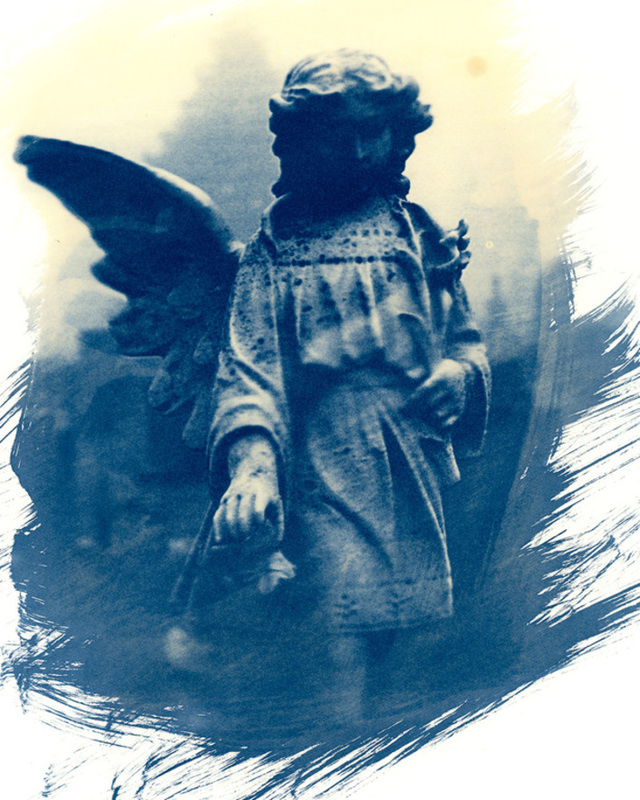 The image may look familiar to long-time viewers; it’s a rework of a previous image, direct-printed on to an 8.5×11 sheet of cyanotype-sensitized paper. Exposure time was around 5 minutes in direct (winter, low-sky) sunlight. This looks great – love the “brush stroke” effect on the edges. Wow, such a wonderful look, and the subject suits the process perfectly. I like the contrast of the soft look of the statue and the harsh edges of the brush strokes. Love it. Party at our place in January?